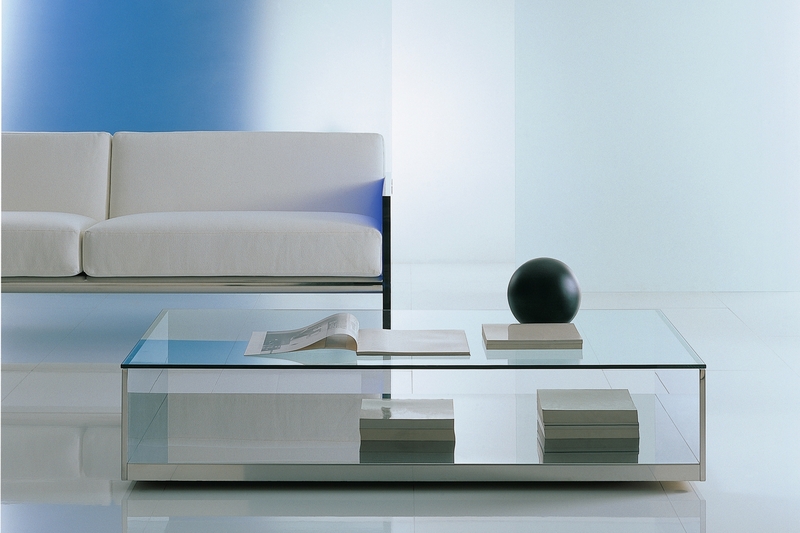 Litt are simple, classic, and stunning tables with structure in stainless steel and table top in glass. Can be disassembled for ease of use and adaptability. 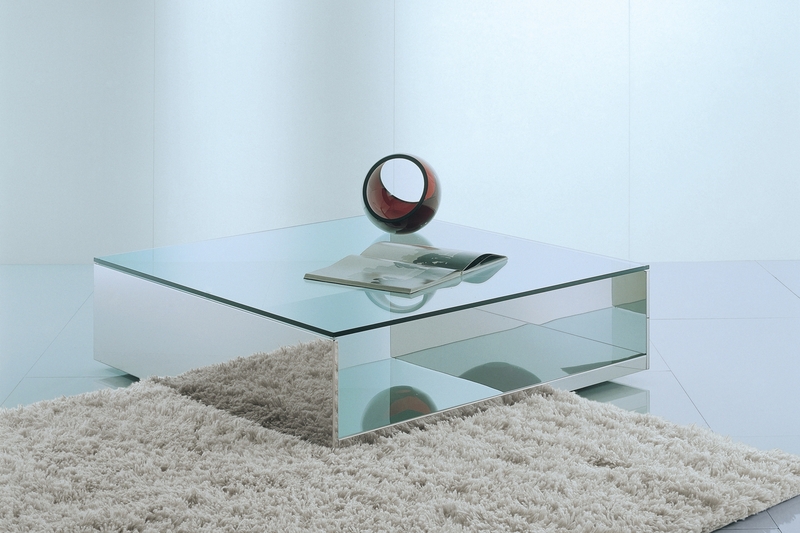 Table top in transparent glass. STEEL BASE: Structural woodchip panels strengthened with steel inserts and coated with polish stainless steel sheet. The different panels are united by high-strength metal joints. CRYSTAL TOP: 12-mm. Thick transparent float glass. Glossy ground edges.